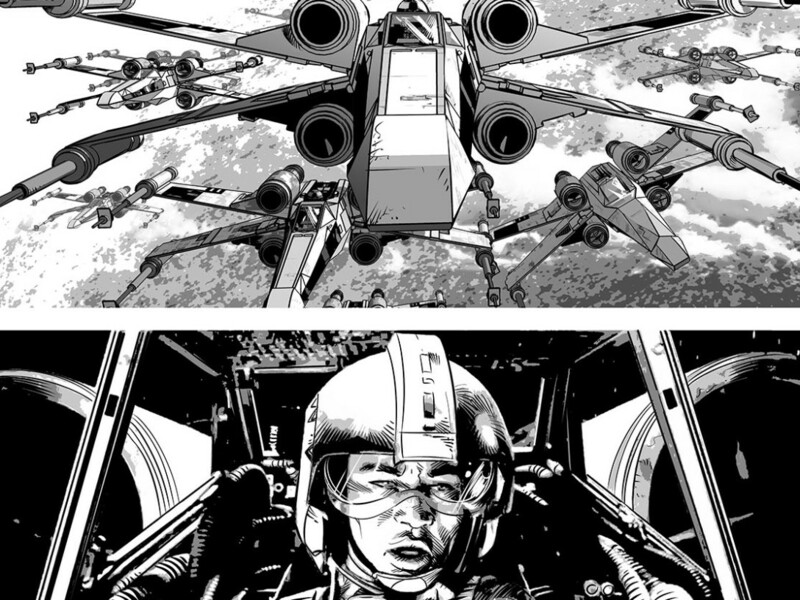 The acclaimed artist talks about coming aboard Marvel's bestselling Star Wars title...and previews pages from his first issue. 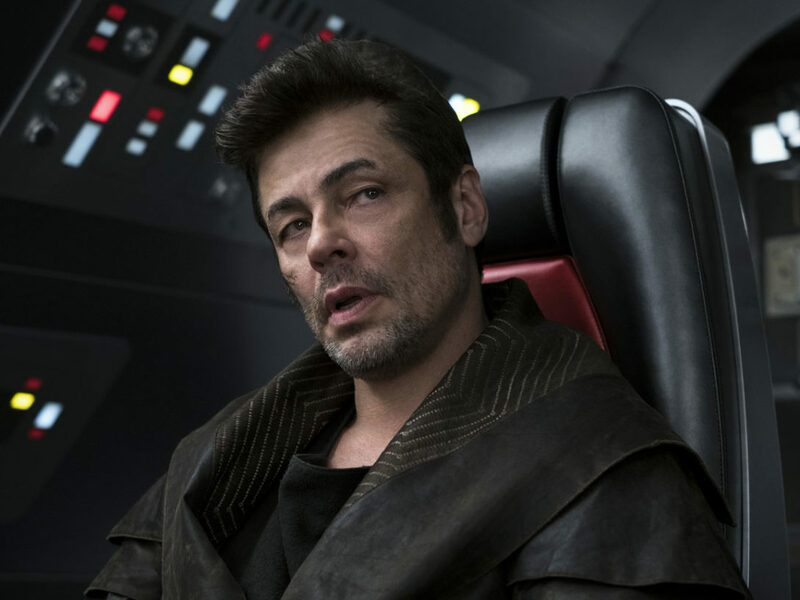 StarWars.com: Stuart, your likenesses for the characters are incredible: what’s your approach to them? What’s too little and how much is too much? 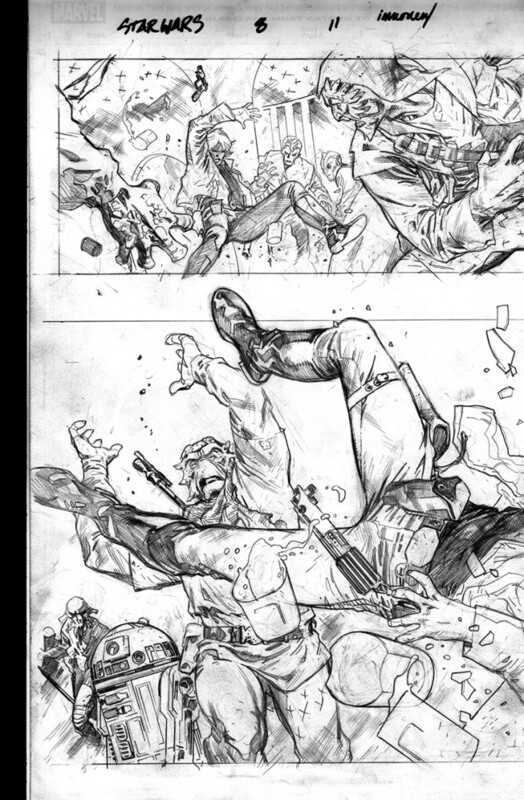 Stuart Immonen: That’s very kind, thank you; I still feel like I’m not quite close enough for my own satisfaction, even with a few issues under my belt. 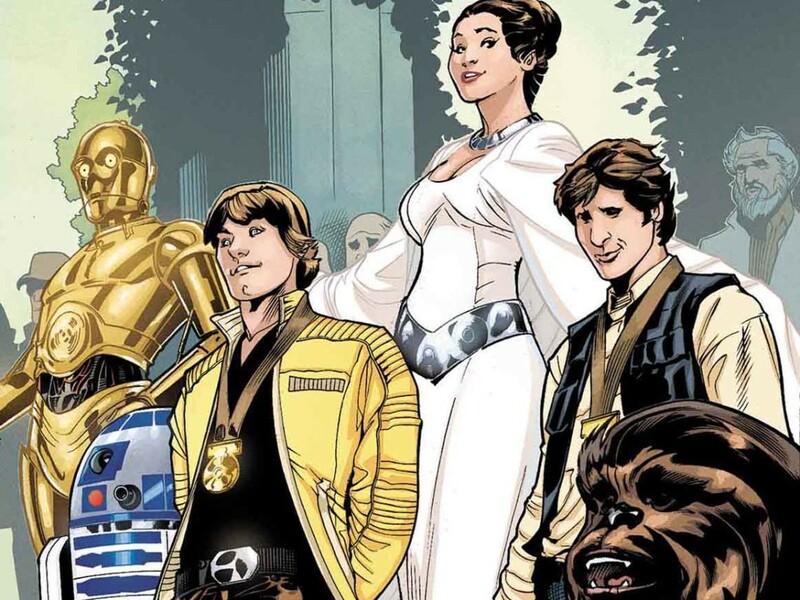 Our comics take place between Episodes IV and V, and I’m trying to keep the cast looking as much as possible the way they did in 1976-77, but the challenges are multi-fold, as the reference material available is automatically limited, and the features of the principals are not as easy to capture in their youthful state. Regarding too little/too much… I don’t consciously ever back off from being as on-model as possible, but scale is a factor; for a mid- or distant-shot, resolution is finite. It becomes a game of millimeters and there’s only so much information I can deliver with the tools at hand. For a close-up, it’s a different matter — I can “splash out,” delineating the subtleties of lighting the planes of the face, nuances of the characters’ expressions and so on. It’s a work in progress, and as I relax into the job, the work is becoming easier and better. 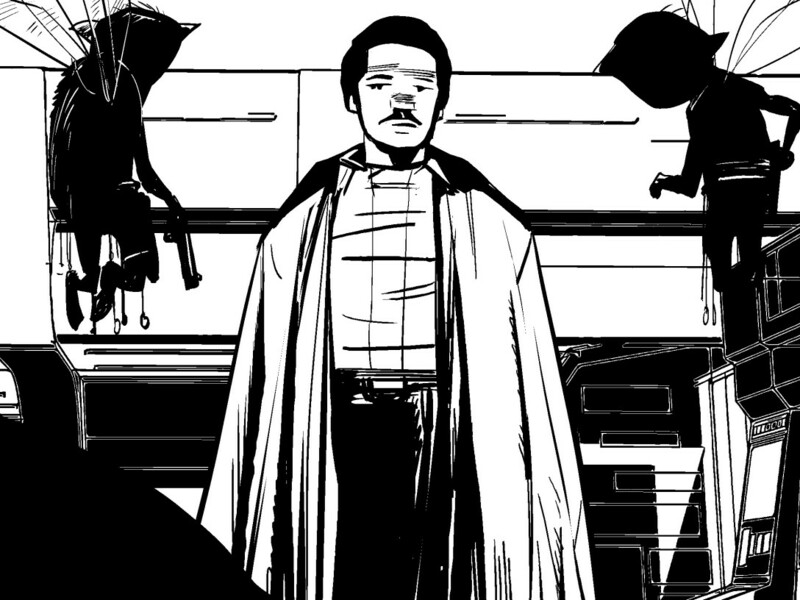 StarWars.com: Which of the main cast has been your favorite to draw so far? And is there one that perhaps has presented you with the biggest challenge? 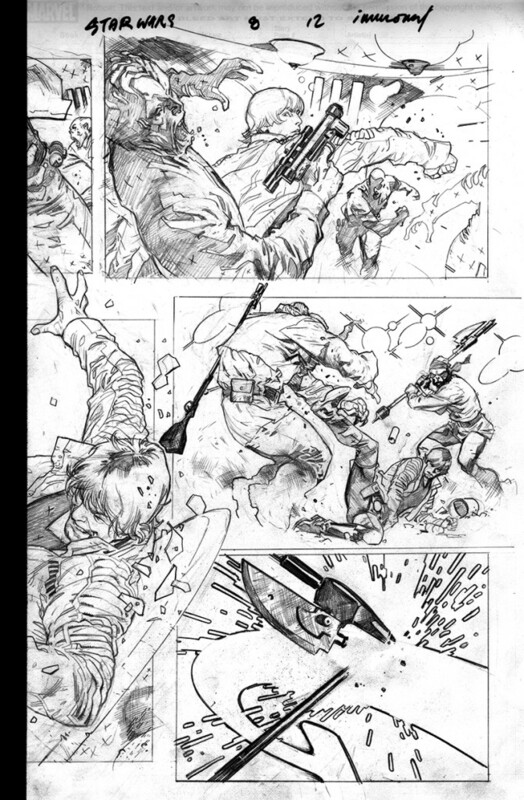 Stuart Immonen: For me, it’s all challenging; it’s just a matter of degrees of challenge. 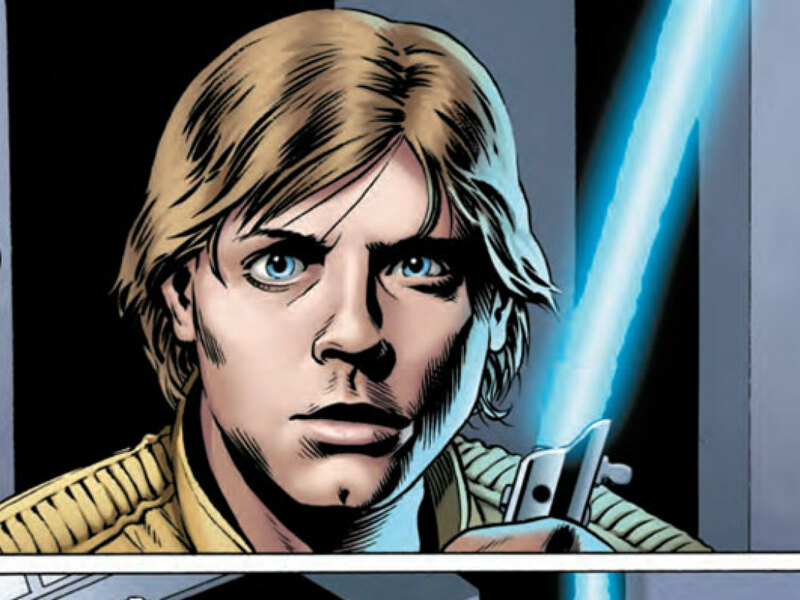 When I read that Trevor Grove, who does masterful sculpts of the cast for Sideshow Toys, admitted that he has trouble with Mark Hamill’s likeness, I felt a little better about my own work. 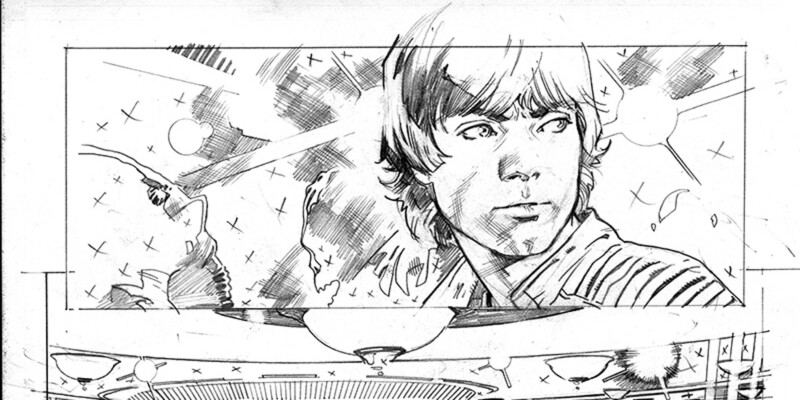 Having grown up on a farm, I’ve got a soft spot for Luke’s story and Jason writes him doing all kinds of exciting, kinetic things, so that aspect is a lot of fun. And slightly less challenging. But honestly, even capturing the masked characters is surprisingly not straightforward, as their emotional state needs to be entirely described by body language. And, of course, the designs changed slightly from film to film, so for example the stormtrooper buckets in A New Hope are not the same as in the other original trilogy movies. It’s possible that the average reader won’t notice or care, but it’s the kind of thing that matters to me. 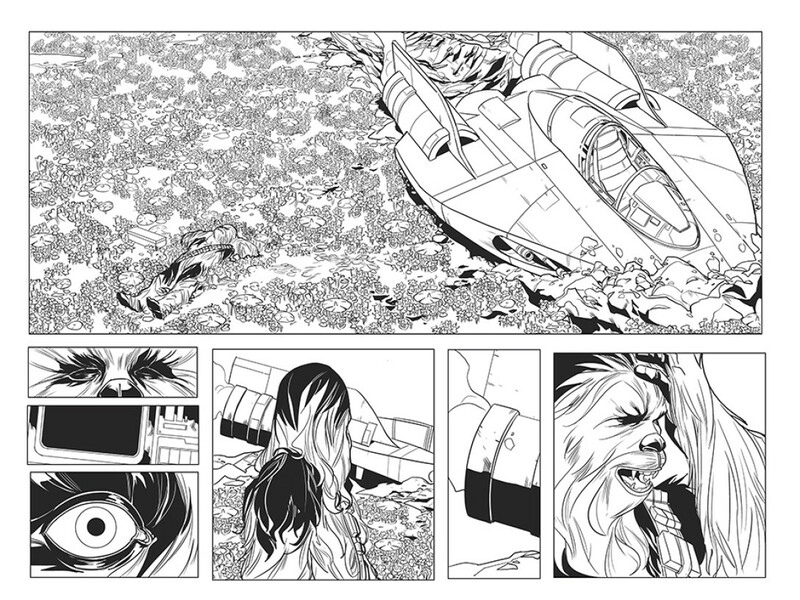 Stuart Immonen: Obviously when the script says “double page spread” or “splash page,” it’s at a climactic point in the story, and I have to maximize the effect. I’m determined also to use the medium of comics in a way that can’t be done with other forms of storytelling, designing pages with overlapping elements, changing the shape and scale of panels et cetera. Sometimes the story is best suited by tiers of page-wide panels, sometimes by a chaotic jumble; it’s all in the script. It falls to me to figure out how to emphasis what’s already there, be it mundane or exciting. 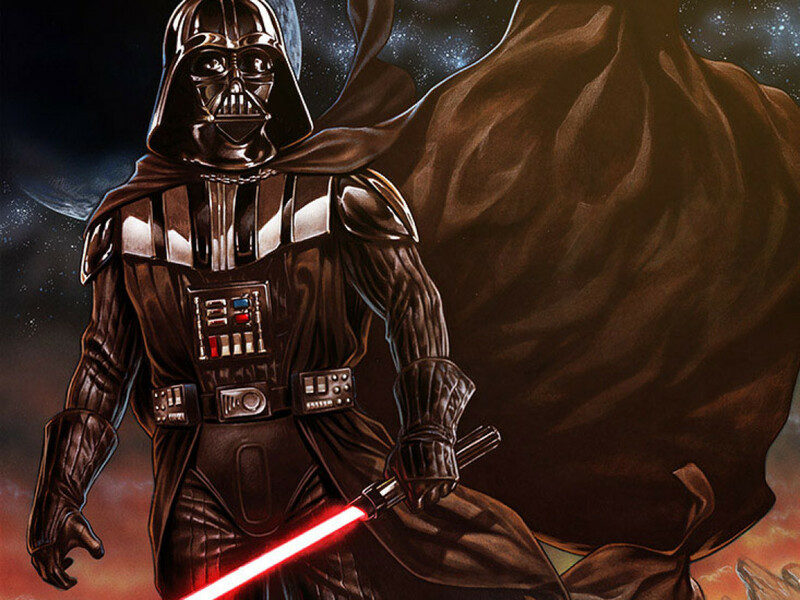 StarWars.com: Star Wars has been introducing new characters and aliens and ships, etc. — what do you do to make them all “authentic,” to make them seem like they’re just off-screen when we watch the films? 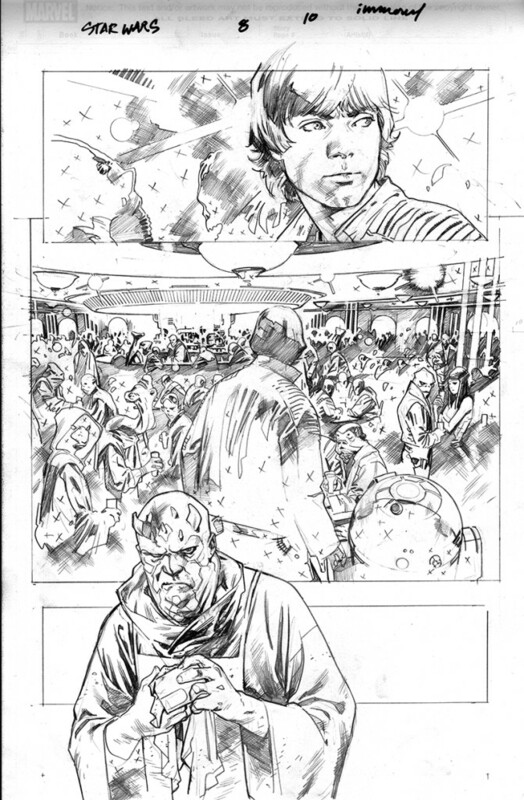 Stuart Immonen: As I said before, the first film is rich in material, and a lot of it we just breeze by. Some of it consists of small details — real-world found prop objects or the flat windscreen panels chosen to work with 1970s bluescreen film techniques. 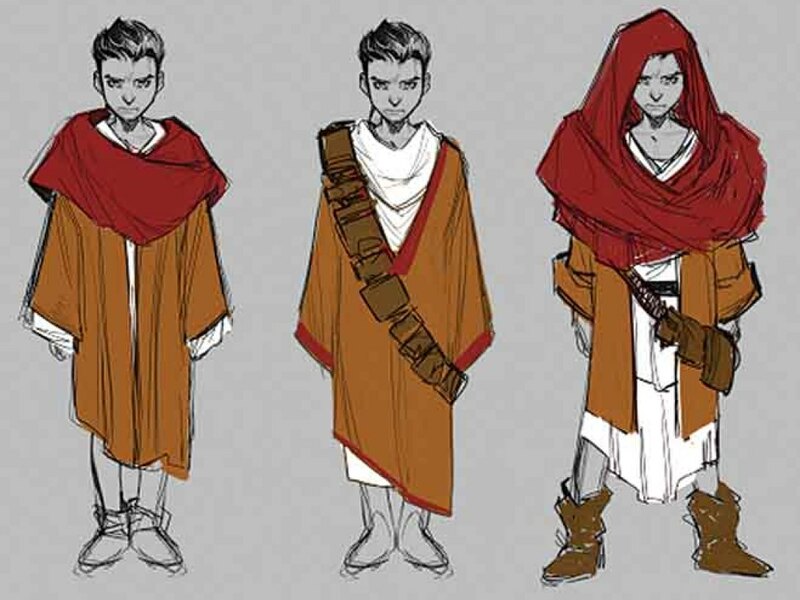 I’m constantly thinking in “kit-bash” mode, but frankly the influence of the material is so pervasive and fundamentally authoritative at this point, it’s probably harder to deviate from the “Star Wars look” than to emulate it. Jim Beard, a native of Toledo, Ohio, has worked as a professional writer since 2002, not only on comic books, but also on prose adventure fiction. He’s contributed weekly to Marvel.com for over 10 years, one of his proudest achievements.